The way customers research, communicate, and buy when shopping for goods and services is continuously transforming, thanks to more mobile and adaptable technologies. As these physical and digital worlds converge, retailers must develop new business models, new services and new strategies to disrupt the market and refocus client expectations. In this white paper, learn how retailers can use wall-to-wall customer support software to survive and thrive in the digital era. 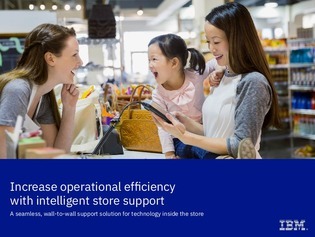 Discover the advantages of having a customer-centric maintenance and support platform, and explore your software options with retail technology support software.